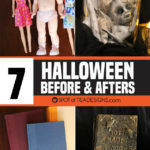 Is there anything better than cheap yet impactful party decor? 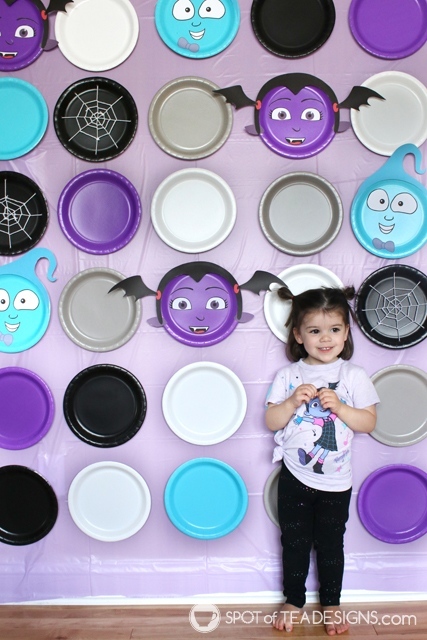 If you’re looking for budget friendly party tips that look anything but cheap, check out this collection of paper plate party backdrop ideas! 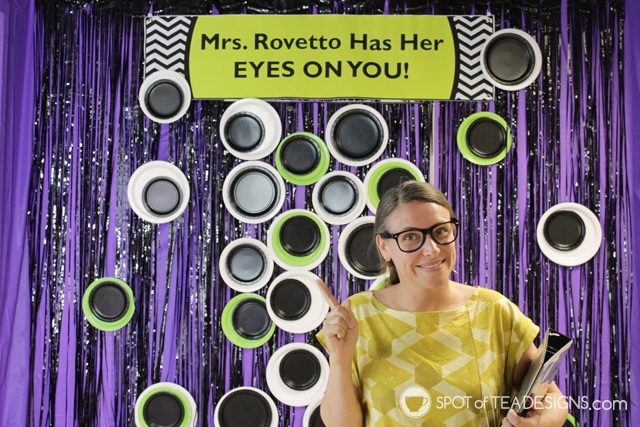 See unique ideas to create backdrops for photobooths or dessert tables, garlands for the fronts of tables or ideas to decorate your front yard using a paper plate! 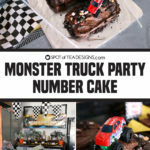 If you’ve been following me in the last two years you know I’ve been working with sites like Wholesale Party Supplies and Birthday in a Box to create styled parties using their party materials. I’m not the only stylist they work with as they also have great talent like my long time friend Elizabeth. 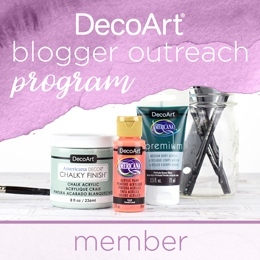 While it’s great to have coordinating party items, we both love to get creative and make our own pieces to really make the party theme come to life! 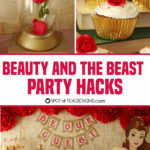 Today we’re sharing some of our favorite uses of paper plates in party decor to make unique backdrops and party decorations across tons of different themes. Attach them together to make a curtain. 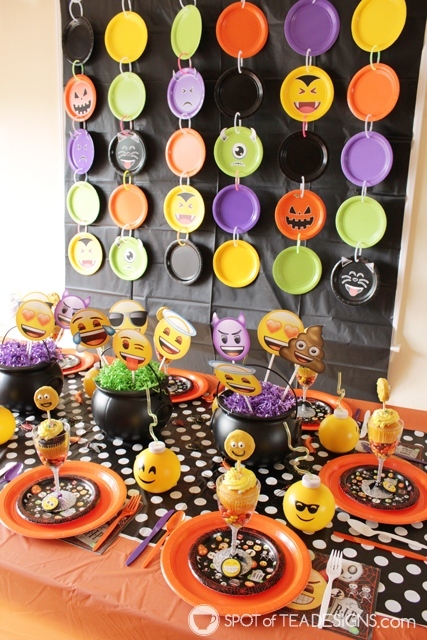 In this case I used glow sticks to attach Halloween emoji characters together to create a curtain behind my Halloween emjoi party. Cut them up and make them into gears. Robot party? Science party? Cars party? This circular pattern works well for them all! Create a photobooth with pops of color. Just like I did for my emoji party. Display them behind your dessert table. 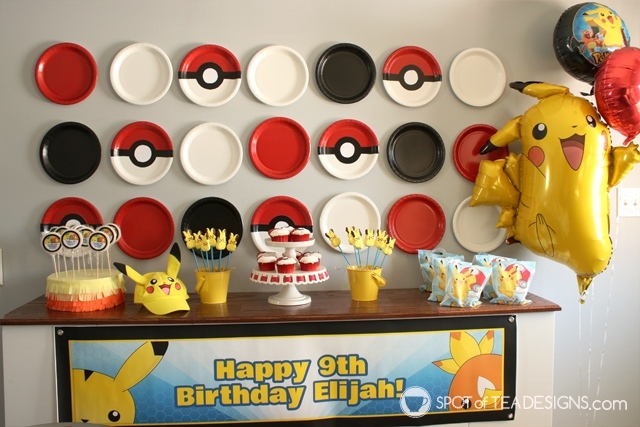 Use temporary tape, like painter’s tape, to create Pokeballs to hang at your Pokemon birthday party. 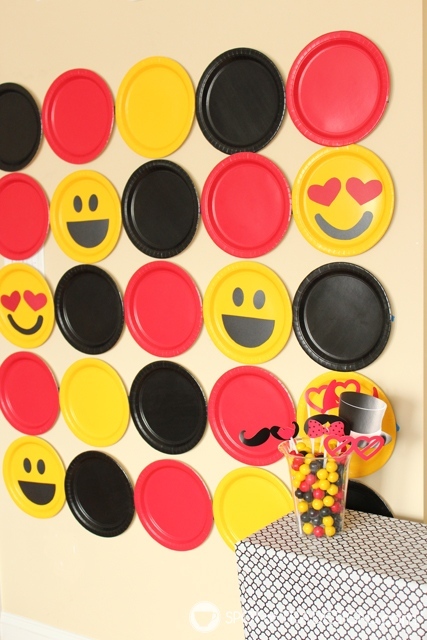 See the full tutorial for this fun paper plate backdrop. 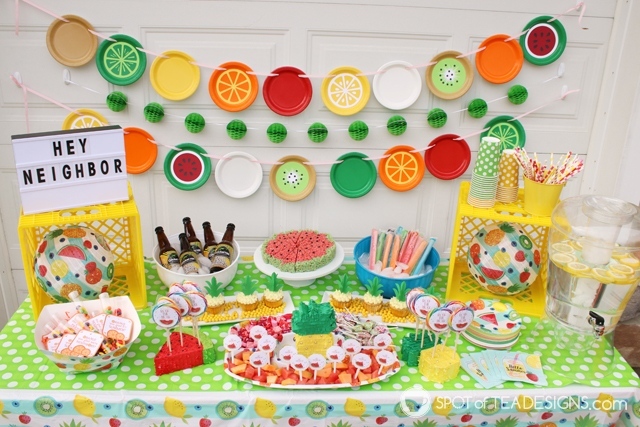 Add colorful diecut elements on top to create a fruit garland. 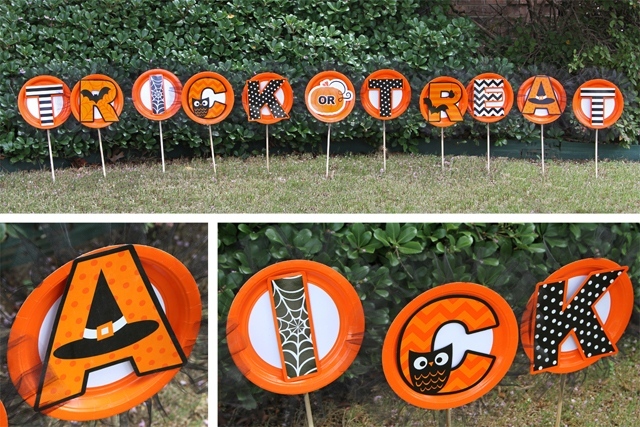 Grab the free printables to make these fruit paper plate designs, like I did for this summer neighborhood block party! Add letters to create a garland in front of your table. 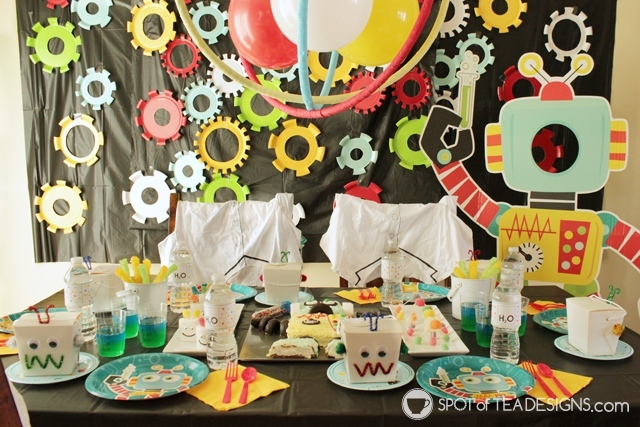 Mix and match colors to create a table decoration for your outer space party. Layer them to create scales. 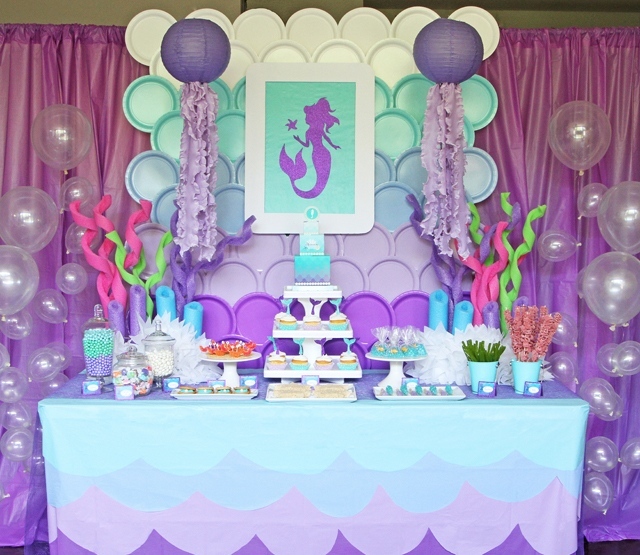 Great for a under the sea theme or mermaid party! 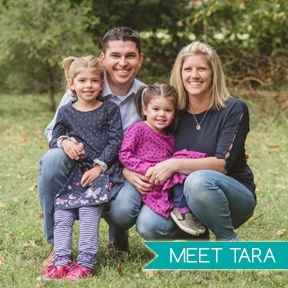 Create a yard display with them as the base. This is a great way to decorate the outdoor area of your party! Layer them to create eyes. This look makes a great door decoration for Halloween! 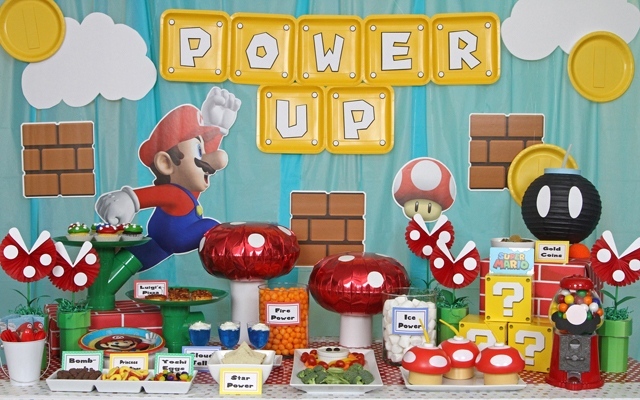 Use different shaped plates for different recognizable party elements. Like those square blocks you punch through in Mario Brothers! Use free printables to make Vampirina! 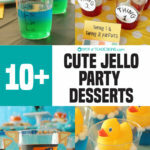 Great for a Halloween party or birthday party for a little girl who loves the Disney show! 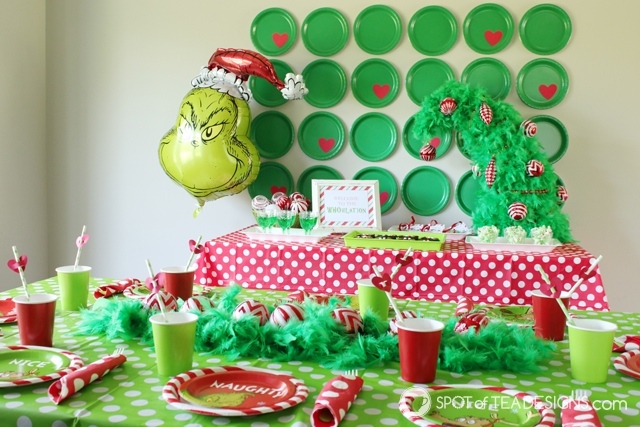 Get grinchy with this easy paper plate backdrop featuring green plates and red paper hearts! Create memorable icons. 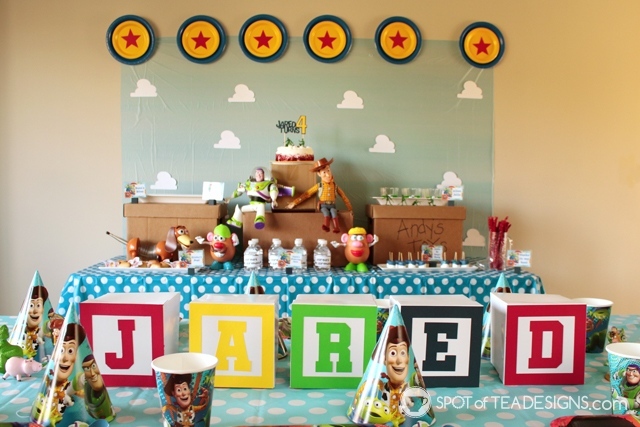 In the case of this Toy Story party, I used two different sizes of paper plates to create the iconic Toy Story balls. Visit that post link to get the free SVG file for the stars and white clouds! Group them to make blocks! These particular ones are not paper but plastic and yet just as impactful! 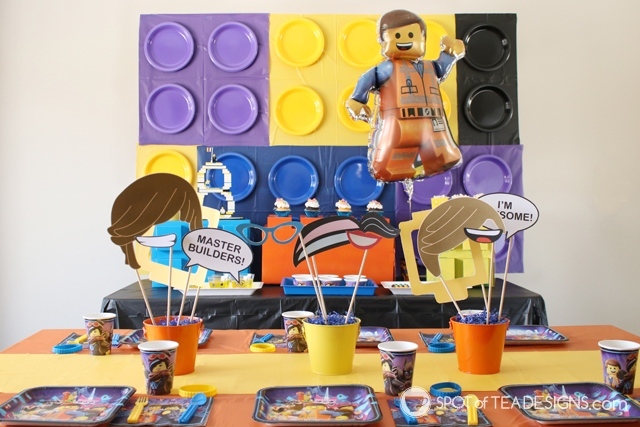 Use 2, 4 or 6 to create Lego like blocks for a Lego party backdrop! Pull an image from a classic. 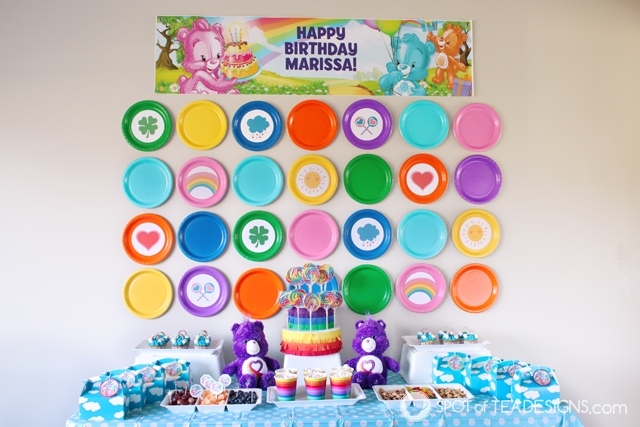 The belly badges from the Care Bears bellies made great icons centered on paper plates for this Care Bears party!